Because of the recent stock market turmoil the price of gold has reached a record high. It has stabilized around $1,779 per ounce. I would say that as of this moment you should sell gold in NYC. This is especially true since other commodities, such as oil, are not doing so well. With gold on a rise as stocks go down, everyone's going to be digging through their jewelry boxes and basements to get rid of whatever trinkets they may be storing. And, as is the case with any mad dash, the first people to react will be the first to reap the benefits. You don't want to be sitting around at home while you have an opportunity to sell gold jewelry NYC is willing to buy. Although there has been a spike this week doesn't mean gold hasn't had a steady price. It's been quite valuable all year. Whether you own jewelry or coins you will find that most gold buyers, pawn shops, and otherwise are happy to give you a good price. Conversely, if you want to buy gold you should hold off. It's a seller's market. Let the time pass before you think about investing in gold. Some might think that with the price of gold soaring and the amount of economic angst in the markets that actual sale of gold jewelry would be suffering, but it is starting to appear like that might be wrong. Recent reports from dealerships and gold refineries in New York and New Jersey seem to suggest that while people are still selling out of date and unfashionable pieces they are still being asked to make and design new pieces for buyers. This is because gold is always desirable and while the markets may be rattled people with wealth are not feeling particularly compelled to hide that fact. Entertainers and artists stills seem content to "floss" for the camera as the popular lingo goes. You rarely see the cast of the Jersey Shore or Kanye West without some sort of jewelry and that is because for them culturally decadence is what the public expects. Even in harder times. So at the moment a NYC gold refinery is experiencing the best of both worlds. A satisfying and consistent influx of gold from sellers and quick turn over into new product for buyers. What is truly surprising is by most accounts there is no sense that this gold thing is any sort of economic bubble that might pop. When I think of gold, I think of a lot of great fictional character revolving around the substance. One that always stands out to me is Goldfinger, from the James Bond movie of the same name. 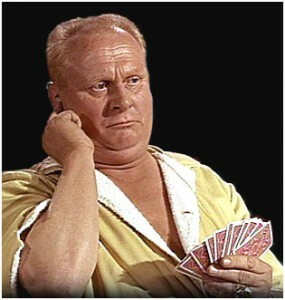 Goldfinger was kind of a silly guy, when you think about it. He had all this gold in his possession, and while his means of obtaining it may have been iffy, he would've been just fine if it weren't for getting a little greedier and wanting to attack Fort Knox. It's those kind of mastermind plans that get James Bond's attention. But if he kept things on the down low, he could've just thrown a gold party, sold the gold he had, kept the cash and flew off to Venice or Fiji or somewhere else cool. I'm not saying you should be an evil villain and do the same (unless you want a British agent on your tail), but you need to make smarter decisions than Goldfinger did. If you've got gold lying around, why not host a gold party and sell it for cash? It's not doing you any good in the state it's in. And then maybe you can take that money and go wherever you'd like! Just don't use it to try to break into Fort Knox. After fifteen years of what I thought was a loving marriage, it all went down the proverbial tubes. I was now part of the marriage statistic, a divorcee. As if going through a divorce wasn't bad enough, the marriage ended horribly. I never thought my life would be like a bad romantic comedy where the husband leaves his wife for the young, beautiful blonde. How extremely predictable, and painful! But even after the possessions were divided and the papers signed, the healing was a slow process. I was also left with a diamond ring as a reminder of the marriage that didn't work. In order to aide the healing, I thought it would be best to sell the ring. Selling diamond jewelry was the best decision I ever made. It was a symbol of my first step forward, to leave my old life behind and start again. I felt empowered! I did keep some of the jewelry he gave me, because diamonds are a girl's best friend after all. Some friends worried I would regret the decision, but I needed to move on. I was never ever going to wear that ring again, so why not make some cash for it? Selling diamonds for cash paid for my cruise and maybe I'll meet Mr. Right on board! Forbes Magazine has been covering the current economic situation very closely. As of yesterday they shared the idea that the U.S. Federal Reserve Bank should consider selling some of its massive gold reserves. With the economy taking forever to recover, people have become used to the constant anxiety. However, this does not prevent the 'run on the bank' mentality shared by investors. It's believed that storing precious metals during an unstable economy is a bad thing. Those funds are not put into companies and working capital. While gold is not currency, the U.S. dollar is suffering in value. Gold is a useful back-up. This gold could also be infused into markets to intervene run-away prices. Gold has helped the U.s. and international markets for decades. At this point in time the value of gold goes up. If you consider the prospects, selling gold in NYC now is wise. 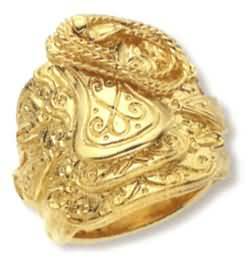 You want to get the best possible prices for your gold and silver jewelry. If gold does get released into the markets you can say goodbye to your opportunity. NYC gold buyers are ready for you to come walking through their doors. They will buy, sell, and cosign gold. It's up to you to get what you can from your own personal reserves. In the same line of thinking as Forbes mentioned: storing gold does you no good in the present moment. Finally there was a compromise on the debt ceiling. A compromise that no one seems happy about, least of all the markets. So once again here we are to tell you that gold prices have once again spiked this time around uncertainty about a new recession. As of writing this post gold prices hit $1,700 an ounce based on worries that the government will not be able to grow their way out of debt. Still not everyone is being so optimistic about the rise of gold prices. Several mining companies are getting pessimistic about the soaring prices and are beginning to try and lock in prices using derivatives. The effort comes after several years where miners attempted to get out of these sorts of deals in order to fully capitalize on the increasing price of gold. It appears that in the past two months the amount of gold being hedged is up. This means that producers are locking in the price for gold to protect the flow of cash entering their coffers. So with that in mind today, or soon at least, could be an ideal time to hit up your local NYC gold refinery to trade in your under used pieces for some cash. If you planned on going to a gold refiner anyway now might be a good time to ensure a solid price on your unwanted gold.